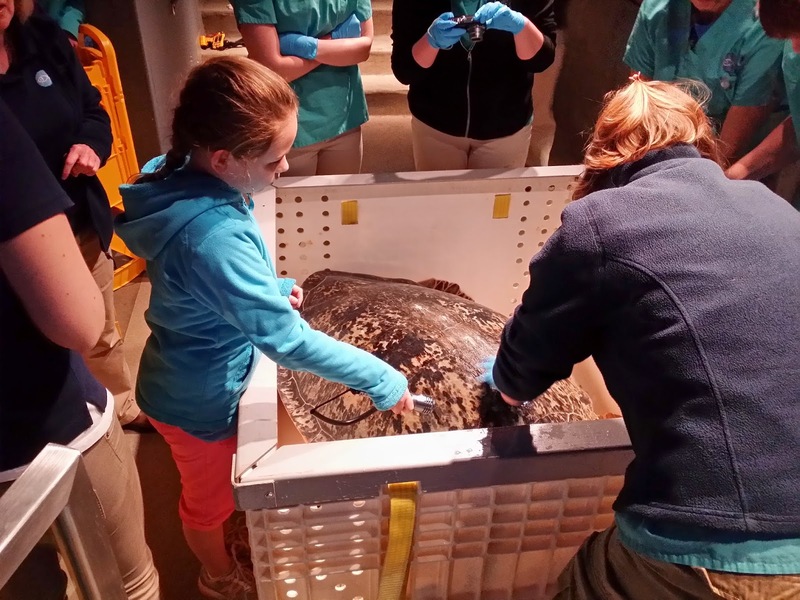 At the end of April all of the Giant Ocean Tank sea turtles were given their spring exams. 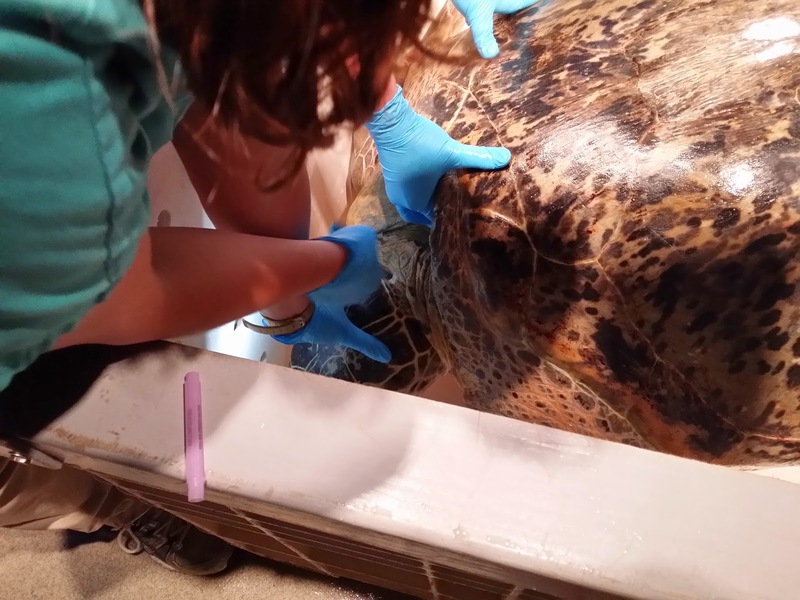 All four of our sea turtles were lifted out of the GOT so that our Animal Health team could take a closer look and collect blood samples. 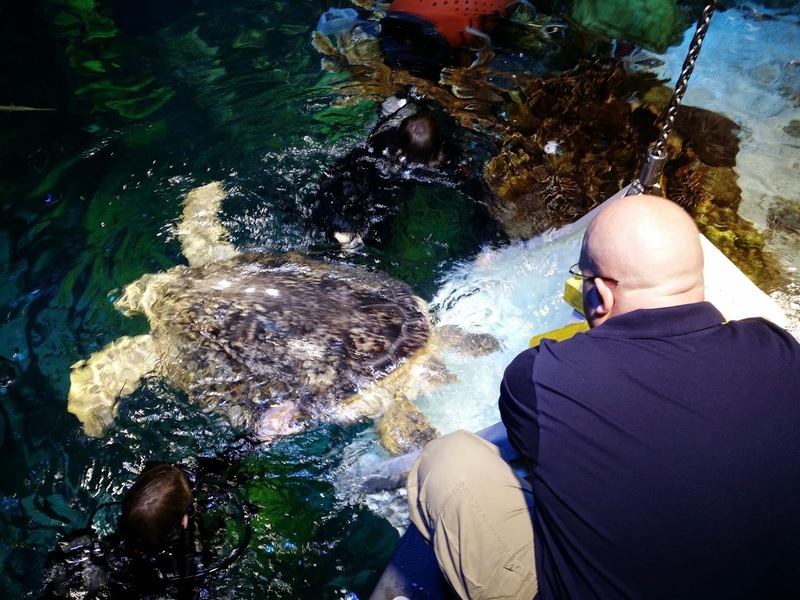 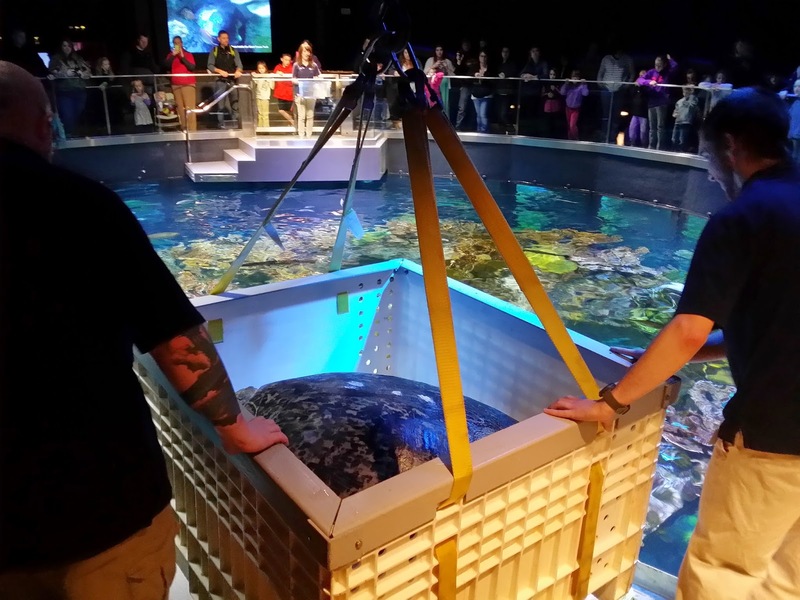 First up: our 500-lb green sea turtle Myrtle. 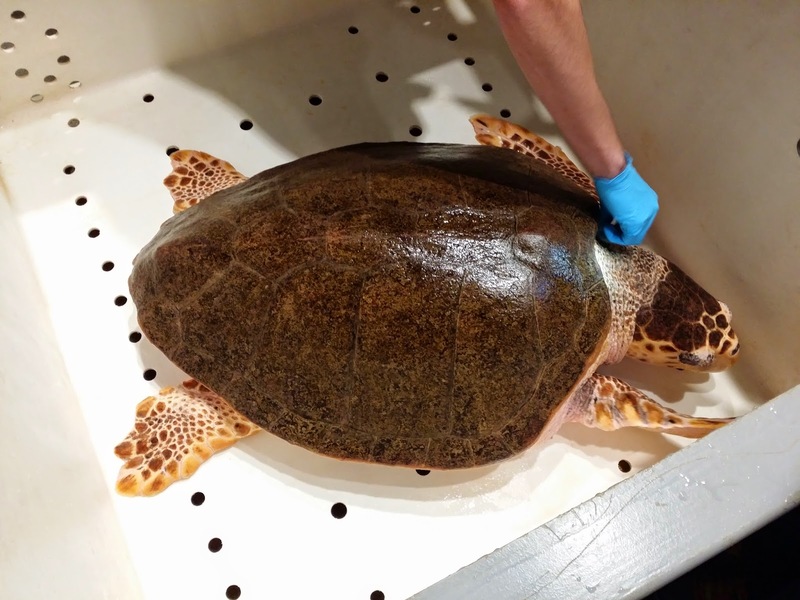 Sometimes Myrtle needs a little encouragement to enter into her lifting box and a leaf of romaine lettuce works every time! 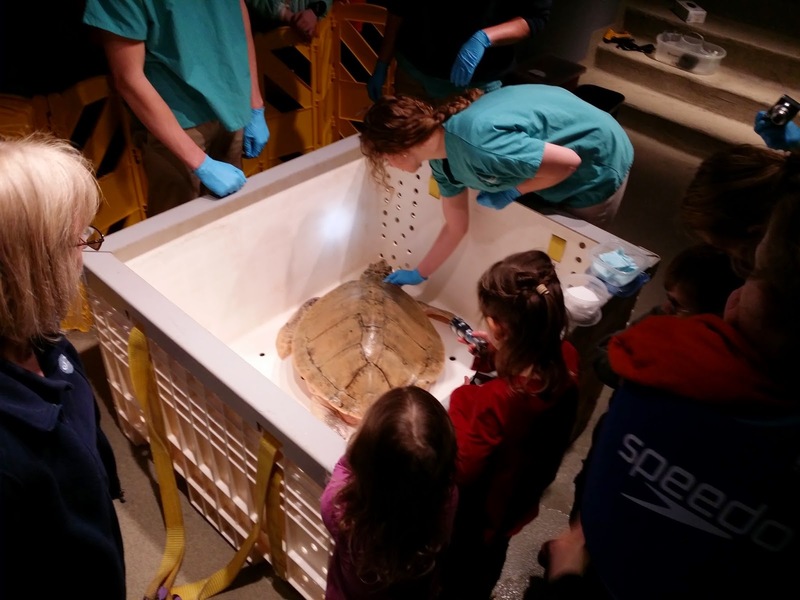 Next is our Kemp's ridley sea turtle, Ari. 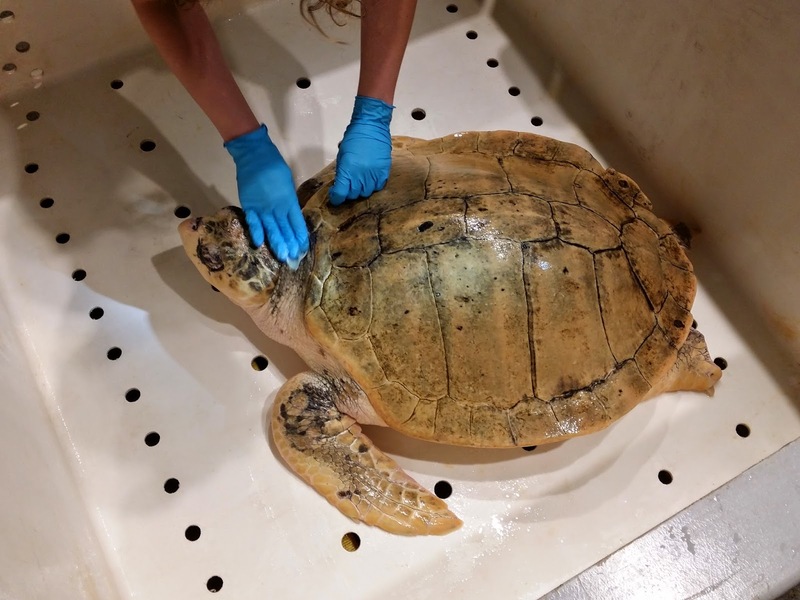 Finally our two loggerhead sea turtles Carolina and Retread have their turn. 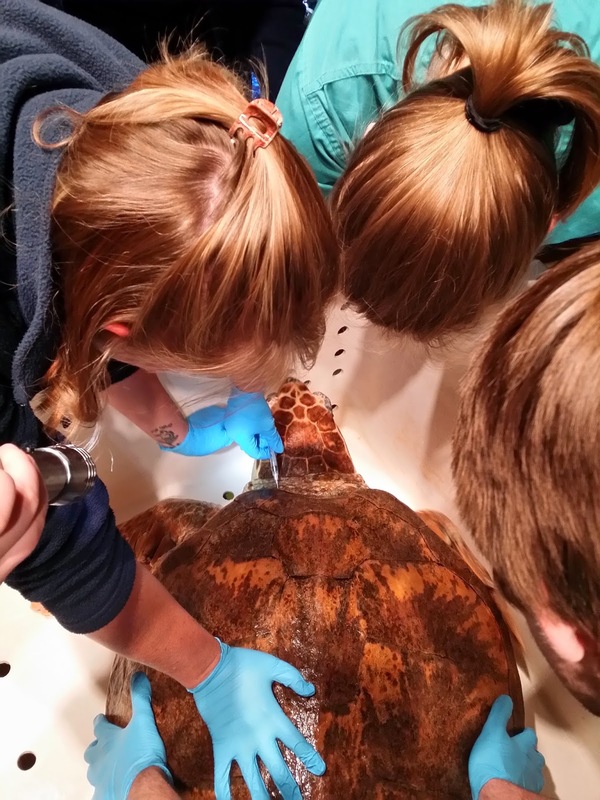 Overall it was a very successful morning and all four of our turtles were given a clean bill of health! 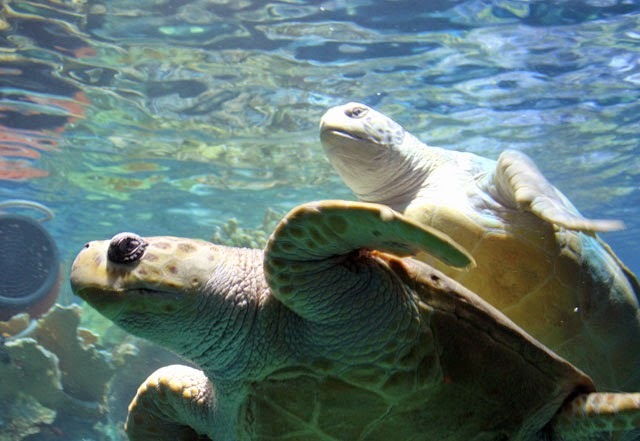 All the turtles are healthy and back swimming in the Giant Ocean Tank!